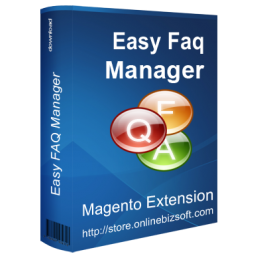 The Easy FAQ Extension add a professional FAQ page to your Magento store. You can easily manage and organize Frequently Asked Question in a minute. The Easy FAQ Extension help improving your Magento store with a professional FAQ page which is not built in Magento. Especially when you have much information to provide visitors, you need a smart-layout to organize information. Our Magento FAQ Extension will help out your issues. 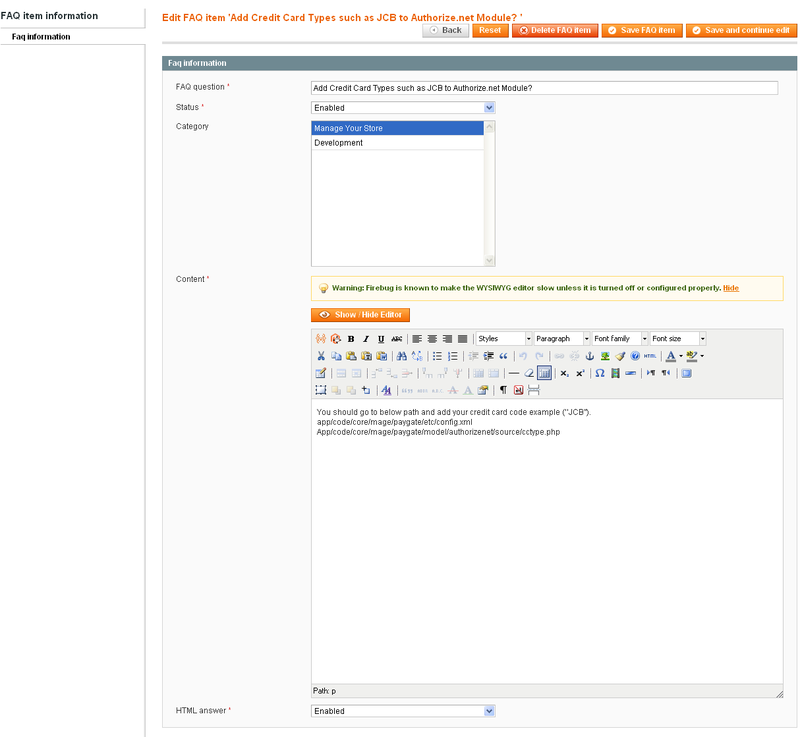 2013-02-07: Fix WYSIWYG issue to work with magento community version > 1.7.x.